Apple has seen fit to release the beta 3 of its upcoming macOS Mojave 10.14.1 update to developers. 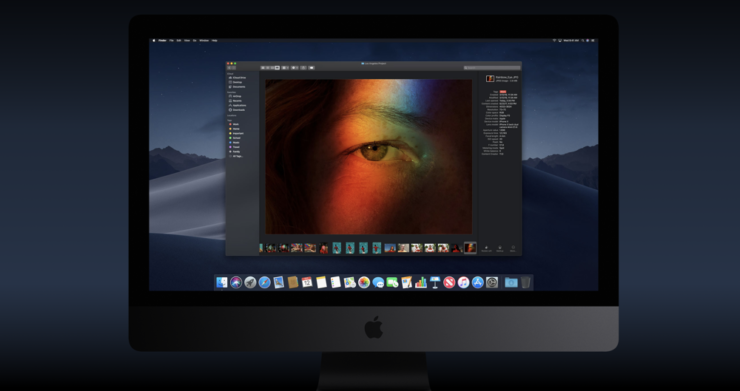 the update arrives a week after the company seeded the second beta an two weeks after the company rolled out its big macOS Mojave update to the public. If you’re a developer and interested in giving the new beta a go, here’s what you need to know. Let’s see some more details on what the new beta has in store for users. With macOS Mojave, a new method was introduced to install the updates. After the initial beta has been installed on you supported machine using the appropriate configuration profile from the Developer Center, additional beta builds can be downloaded through System Preferences and then select “Software Update”. macOS Mojave 10.14.1 will add a bunch of new features to the platform which includes Group FaceTime, allowing you to video chat with up to 32 people. Other than this, macOS 10.14.1 will also add more than 70 new emoji which have also been made available on iOS 12.1 beta as well as watchOS 5.1. So the upcoming update for the general public is pretty significant in terms of the changes and features it will bring. As for the latest beta 3 of macOS Mojave 10.14.1, we did not see any front-facing changes. However, it might be too early to ask. We will wait for the developers to tinker with the new beta 3 software build. We will let you guys know if there are any new changes discovered in the build. macOS Mojave is a major update released last month to the general public. It adds a lot of new features such as Dark Mode, a new file management system and more. There will be more to the story, so be sure to stay tuned in for more details. This is it, for now, folks What are your thoughts on the new beta 3 of macOS Mojave 10.14.1? Let us know in the comments.